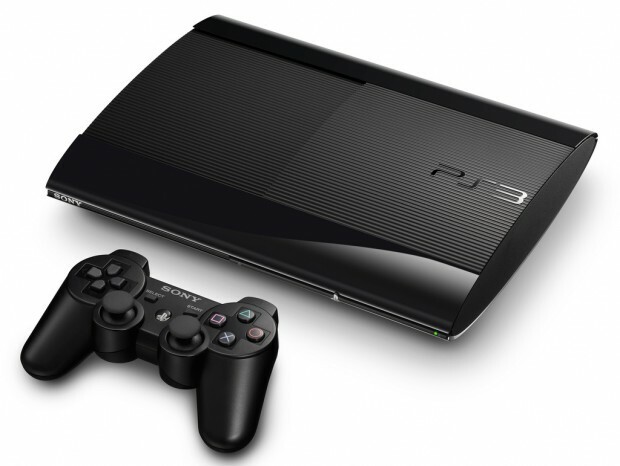 During the Tokyo Game Show this week Sony decided to finally show off a slimmer PS3 – called the Super Slim – that was already rumored to exist to go alongside that other slimmer PS3 that you can already pick up in stores. Sony sure likes the SKUs. Anyway, here are all details about this new thing. According to the PlayStation Blog, the console is “approximately 25% smaller and 20% lighter than the the current PS3,” so all of you people who go around picking up your PS3s all the time can rest assured this one will be easier on the back. The slot drive is also gone, opting instead for a disc tray, and there will still be only two usb ports in the front of the device so that if you want to use a PlayStation Eye you will be running cords all in the front of the device and up around the entertainment center somehow. The console will come in two variations, one with a 250GB HDD and the other 500GB. When launched next week on September 25, the 250GB version will come bundled with UNCHARTED 3: Drake’s Deception GOTY Edition and “a voucher for more than $30 worth of bonus digital content for the highly acclaimed digital title, DUST 514.” (Dust 514, by the by, will be a free to play digital title soon on PSN.) This bundle will retail for $269.99. If you happen to want to wait because you already have UNCHARTED 3, then the 500GB version will go to retail on October 30 to coincide with the release of Assassin’s Creed III. No price yet on that version.